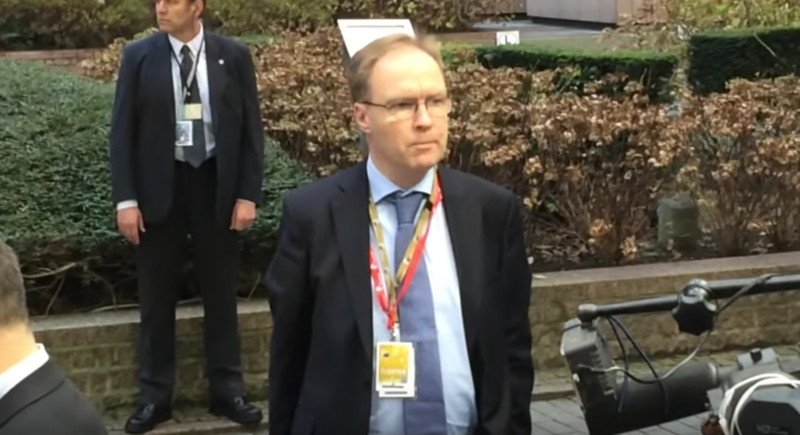 Sir Ivan Rogers unexpectedly quit yesterday, on the eve of Brexit negotiations, and some ten months before his official posting was due to expire, sending shockwaves through London and Brussels. In his resignation email to colleagues [full text below], he also made a list of stinging complaints. Most critically, he argued that the British government lacked “serious multilateral negotiating experience” back in London. For a professional diplomat to make such comments two months before Article 50 is due to be triggered – beginning two years of intense negotiations – is telling. He went on to add that the structure of the UK’s negotiating team “needs rapid resolution”. Although he may be referring to backroom staff, that would seem to be a stinging criticism of the trio of ‘Brexit’ ministers – Foreign Secretary Boris Johnson, Secretary of State for Departing the EU David Davis and Secretary of State for International Trade Liam Fox. All three were Leave campaigners, yet relations between the three men have been factious and their positions sometimes contradictory since their appointments under Theresa May last year. Sir Ivan added that he urged colleagues to provide British ministers with their “unvarnished” understanding through Brexit negotiations – “even where this is uncomfortable”. “I hope you will continue to challenge ill-founded arguments and muddled thinking and that you will never be afraid to speak the truth to those in power,” Rogers said. While Sir Ivan’s resignation has been welcomed by UKIP’s Nigel Farage and the Leave millionaire financier Aaron Banks, there has been no official reaction from Number 10 Downing Street, or any of the key position-holders in Brussels. 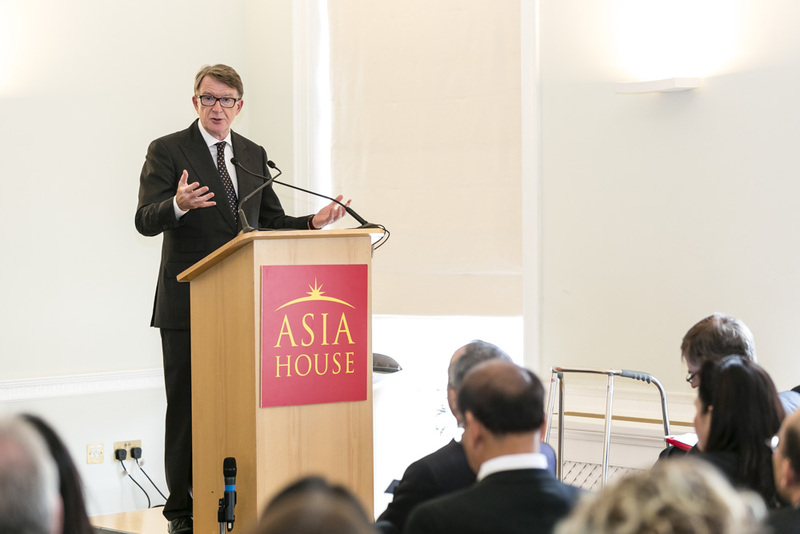 However, Peter Mandelson, the former EU Trade Commissioner and prominent Remain campaigner, made a rare political intervention late on Tuesday to highlight the gravity of the situation. “Our negotiation as a whole will go nowhere if ministers are going to delude themselves about the immense difficulty and challenges Britain faces,” he said. Rogers was “second to none” in terms of knowledge and experience of Brussels, Mandelson pointed out. Although Rogers was criticised in December for a leak of his comment suggesting a new trade deal between the EU and UK might take ten years, rather than the two provided for by Article 50, euractiv.com exclusively revealed in 2015 that Mandelson himself was making the same warnings. The government insisted, though, that he was only reporting back what was being said in European capitals. The official Foreign Office comment on Sir Ivan’s departure was only two sentences long – a sign of trying to downplay the significance of the event. “Sir Ivan Rogers has resigned a few months early as UK permanent representative to the European Union,” a British government spokeswoman said. Britain’s ambassador to the EU has unexpectedly resigned, just weeks before the UK triggers Article 50 to begin negotiating its exit from the bloc, the Financial Times reported Tuesday (2 January). London is set to appoint a new ambassador and deputy ambassador – who also stepped down yesterday – shortly. Rogers had guided former prime minister David Cameron through the tortuous process in 2016 of renegotiating the UK’s EU membership, coming up with the deal that saw limits on EU migrants’ benefits rights for the first four years after entering the UK, as well as safeguarding the City of London’s interests. However, that deal was rejected 52% to 48% in the June 2016 referendum, which saw the UK opt to leave the 28-member bloc after 43 years. Triggering Article 50 by March 2017 (May’s self-declared deadline) will start a two-year countdown after which Britain will leave all the institutions and the single market unless alternative arrangements have been agreed. Hilary Benn, who chairs the UK parliament’s Brexit scrutiny committee, told BBC radio the resignation was “not a good thing”. Rogers had been in his post since November 2013. Aled Williams, the former spokesman for Britain’s EU embassy, said Rogers’ departure was a “big loss” to the Brexit negotiations. “Sir Ivan never sugar-coated his advice: had the credibility to tell his political bosses how he saw it in Brussels,” he said. Whilst Rogers lacked the panache and elan of some ambassadors, he was seen in Brussels as straight and sincere. 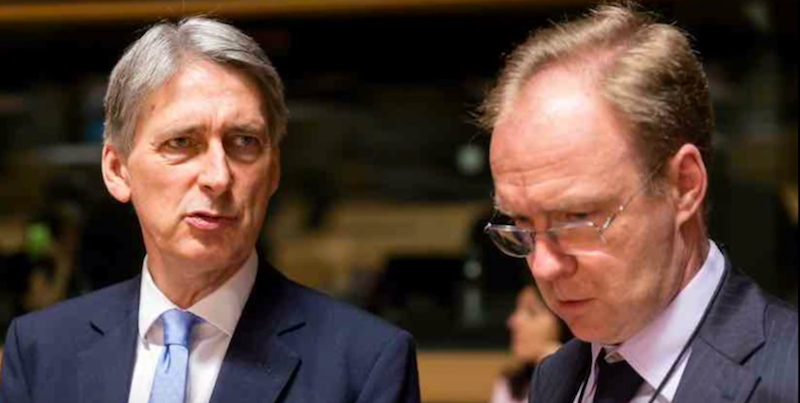 Sir Ivan Rogers is not a Foreign Office smoothy, the kind of charming brilliant dip who used to live in the Rue Ducale and out-negotiate the Eurocrats with effortless ease, writes Denis MacShane, reflecting on the sudden departure of the UK’s envoy to the EU. Banks, the millionaire who chaired the Leave.EU campaign group in the referendum, said Rogers was a “pessimist” from the “pro-EU old guard”. “It’s time now for someone who is optimistic about the future that lies ahead for Brexit Britain. Enough talk, we need to get on with getting out,” he said. UKIP MEP Farage also welcomed the resignation, saying the Foreign Office needed a “complete clear-out”. The office of Michel Barnier, the European Commission’s chief Brexit negotiator, declined to comment. I have therefore decided to step down now, having done everything that I could in the last 6 months to contribute my experience, expertise and address book to get the new team at political and official level under way. This will permit a new appointee to be in place by the time Article 50 is invoked. Importantly, it will also enable that person to play a role in the appointment of Shan’s replacement as DPR. I know from experience – both my own hugely positive experience of working in partnership with Shan, and from seeing past, less happy, examples – how imperative it is that the PR and DPR operate as a team, if UKREP is to function as well as I believe it has done over the last few years. I want to put on record how grateful I am to Shan for the great working relationship we have had. She will be hugely missed in UKREP, and by many others here in Brussels, but she will be a tremendous asset to the Welsh Government. From my soundings before Christmas, I am optimistic that there will be a very good field of candidates for the DPR role. But it is right these two roles now get considered and filled alongside each other, and for my successor to play the leading role in making the DPR appointment. I shall therefore stand aside from the process at this point. I know that this news will add, temporarily, to the uncertainty that I know, from our many discussions in the autumn, you are all feeling about the role of UKREP in the coming months and years of negotiations over “Brexit.” I am sorry about that, but I hope that it will help produce earlier and greater clarity on the role that UKREP should play. My own view remains as it has always been. We do not yet know what the Government will set as negotiating objectives for the UK’s relationship with the EU after exit. There is much we will not know until later this year about the political shape of the EU itself, and who the political protagonists in any negotiation with the UK will be. Serious multilateral negotiating experience is in short supply in Whitehall, and that is not the case in the Commission or in the Council. The Government will only achieve the best for the country if it harnesses the best experience we have – a large proportion of which is concentrated in UKREP – and negotiates resolutely. 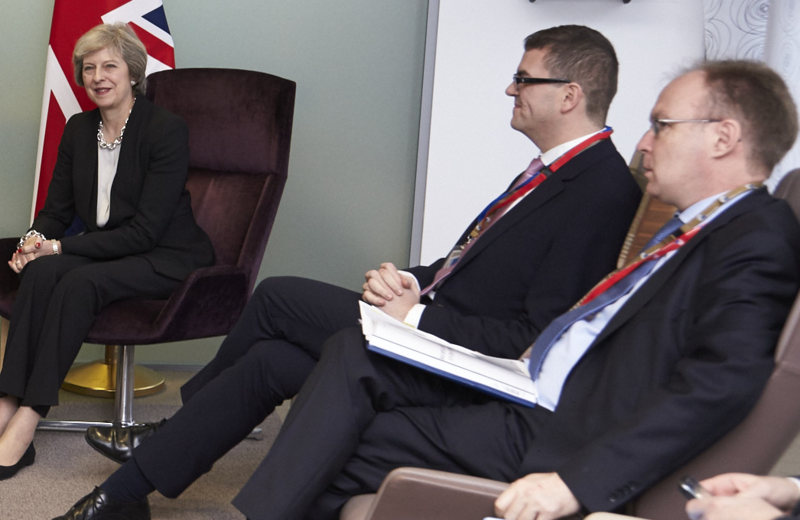 Senior Ministers, who will decide on our positions, issue by issue, also need from you detailed, unvarnished – even where this is uncomfortable - and nuanced understanding of the views, interests and incentives of the other 27. The structure of the UK’s negotiating team and the allocation of roles and responsibilities to support that team, needs rapid resolution. The working methods which enable the team in London and Brussels to function seamlessly need also to be strengthened. The great strength of the UK system – at least as it has been perceived by all others in the EU – has always been its unique combination of policy depth, expertise and coherence, message co-ordination and discipline, and the ability to negotiate with skill and determination. UKREP has always been key to all of that. We shall need it more than ever in the years ahead. As I have argued consistently at every level since June, many opportunities for the UK in the future will derive from the mere fact of having left and being free to take a different path. But others will depend entirely on the precise shape of deals we can negotiate in the years ahead. 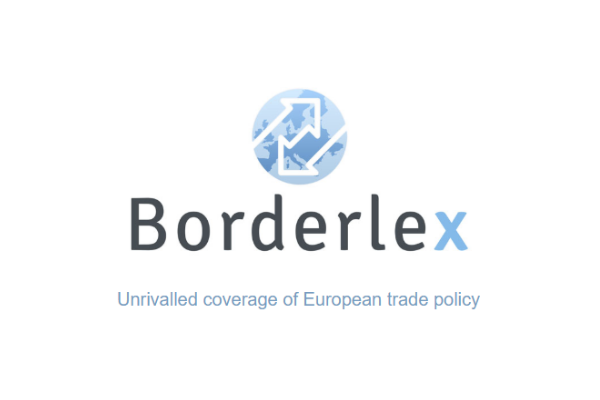 Contrary to the beliefs of some, free trade does not just happen when it is not thwarted by authorities: increasing market access to other markets and consumer choice in our own, depends on the deals, multilateral, plurilateral and bilateral that we strike, and the terms that we agree. I shall advise my successor to continue to make these points. Meanwhile, I would urge you all to stick with it, to keep on working at intensifying your links with opposite numbers in DEXEU and line Ministries and to keep on contributing your expertise to the policy-making process as negotiating objectives get drawn up. The famed UKREP combination of immense creativity with realism ground in negotiating experience, is needed more than ever right now. On a personal level, leaving UKREP will be a tremendous wrench. I have had the great good fortune, and the immense privilege, in my civil service career, to have held some really interesting and challenging roles: to have served 4 successive UK Prime Ministers very closely; to have been EU, G20 and G8 Sherpa; to have chaired a G8 Presidency and to have taken part in some of the most fraught, and fascinating, EU negotiations of the last 25 years – in areas from tax, to the MFF to the renegotiation. Of all of these posts, I have enjoyed being the Permanent Representative more than any other I have ever held. That is, overwhelmingly, because of all of you and what you all make UKREP: a supremely professional place, with a fantastic co-operative culture, which brings together talented people whether locally employed or UK-based and uniquely brings together people from the home civil service with those from the Foreign Office. UKREP sets itself demanding standards, but people also take the time to support each other which also helps make it an amazingly fun and stimulating place to work. I am grateful for everything you have all done over the last few years to make this such a fantastic operation. For my part, I hope that in my day-to-day dealings with you I have demonstrated the values which I have always espoused as a public servant. I hope you will continue to challenge ill-founded arguments and muddled thinking and that you will never be afraid to speak the truth to those in power. I hope that you will support each other in those difficult moments where you have to deliver messages that are disagreeable to those who need to hear them. I hope that you will continue to be interested in the views of others, even where you disagree with them, and in understanding why others act and think in the way that they do. I hope that you will always provide the best advice and counsel you can to the politicians that our people have elected, and be proud of the essential role we play in the service of a great democracy. This traitorous Federlist should have been sacked and not allowed to resign. He is an unelected paid bureaucrat and should keep his thoughts to himself. How can a man attempt to undermine his own country who held this position is quite beyond me. He is a typical Europhile deceitful, untrustworthy, and as I’ve said traitorous! I did wonder when the brexiters would start foaming at the mouth – you did not dissapoint. ” He is an unelected paid bureaucrat” – erm…. most bureaucrats are (unelected and paid). Most ambassadors have a tradition of writing a departure letter once their term is over – you don’t like it – tough. On what basis did he “undermine his country” – “traitorous” – ditto. Gosh I can see the foam coming out of your mouth from here – doubtless you will be chewing the carpet next – snigger. Without doubt Sir Ivan Rogers understands the political mood music and some of the implications of various moves likely in the disengagement of the UK from the EU. However in matters such as politics there is no such thing as objective truth. There are only beliefs coloured by personal bias. (The rival counter claims that the UK would be better off or worse off inside the EU are a classic example.) The arrogance displayed by any person who is unable to recognise this and believes that they ‘KNOW THE TRUTH’, then goes on record revealing his pride in this way disqualifies them from serious consideration. By the way remember that Mandelson was advocating a UK Referendum on membership in 2014, presumably he KNEW we would vote remain. As to his contributions being “rare”, I seem to see him on TV and in the papers quite regularly. “The rival counter claims that the UK would be better off or worse off inside the EU are a classic example” – I suggest you read a recent Skidelsky article in the Guardian – economically the UK is heading towards 3rd world status – this is not a “belief coloured by personal bias” but rather based on numbers. Oh dear, but the brexiters don’t like facts/numbers – like the morons interviewed by John Harris on Radio 4 this morning they prefer EU myths (unbent or bent cucumbers etc etc ad nauseum). Of course, by the time “I told you so” is reached the UK will be well & truly stuffed – but I guess you don’t care do you – y want your cuddly myths. Pathetic.